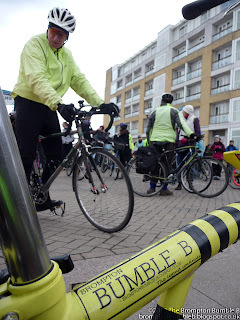 Waking up VERY early in the morning all excited to be going to the iBikeLDN East(er) Ride around the east side of London. All ready, fuelled up & Bumble B was oiled up and almost scratching at the door to get on the road. 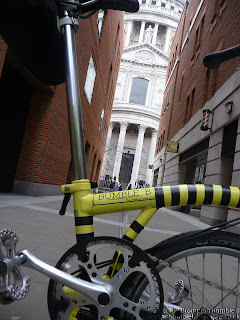 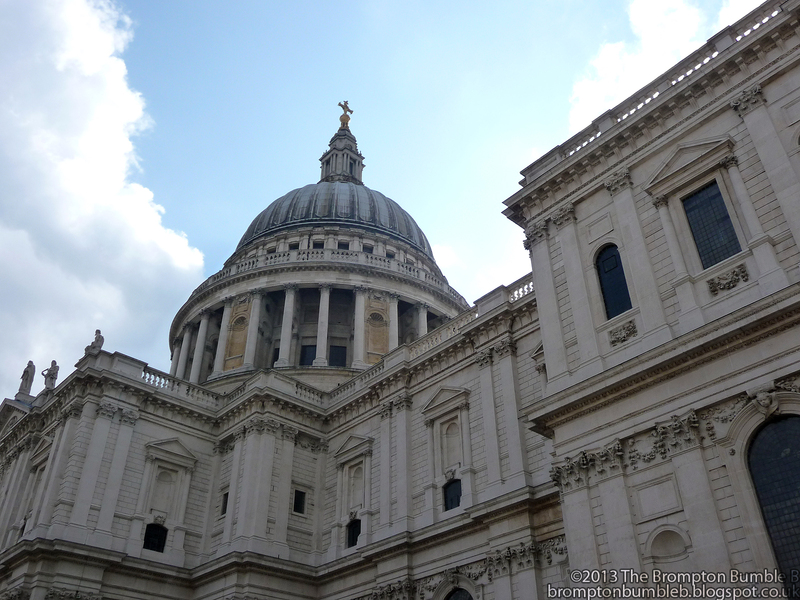 I wasn't sure if I was going to ride all the way to the meeting point at St. Paul's Cathedral, so we decided to head out early. 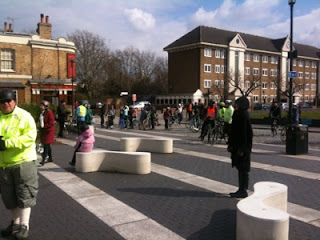 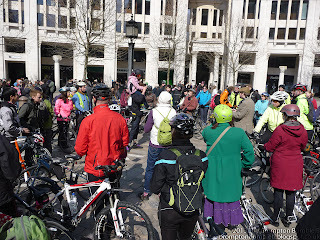 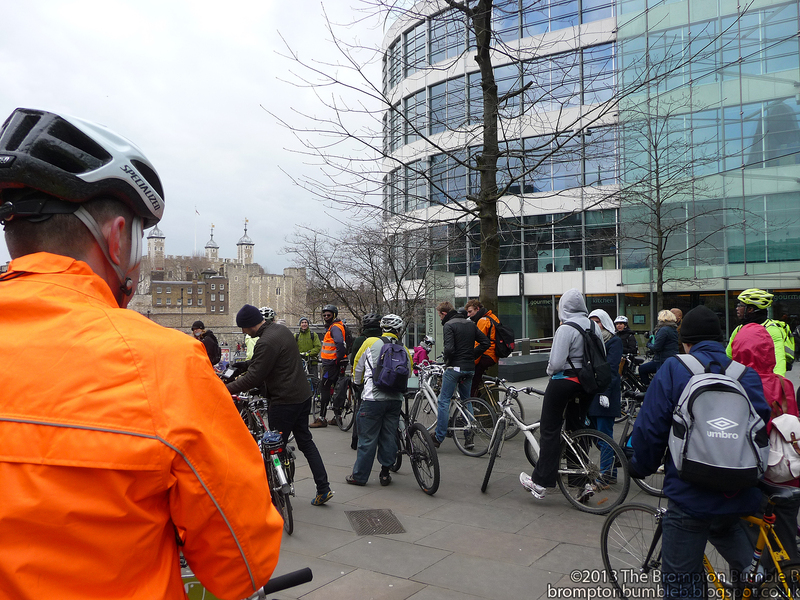 After about 30mins I saw a few of the LBC rolling up, a good turn out for the LBC as always. 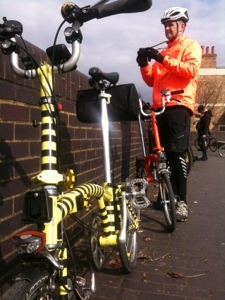 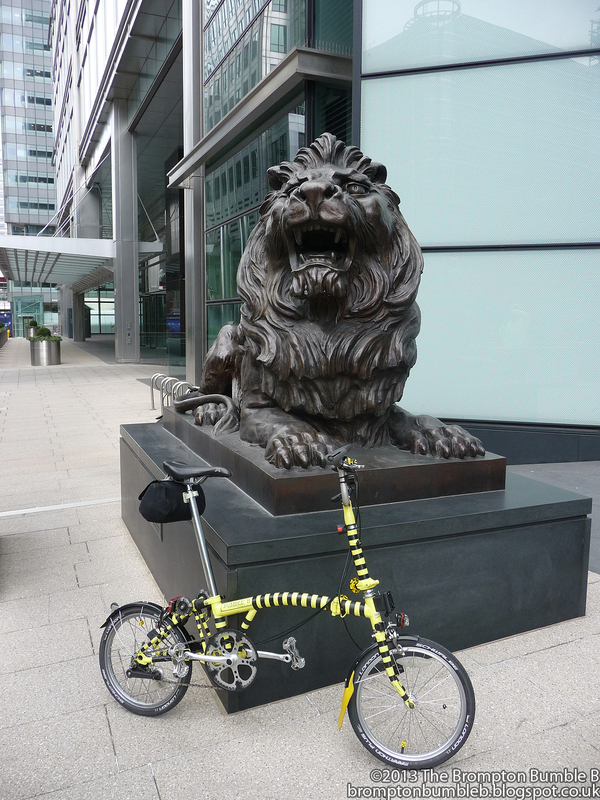 Exchanged our welcomes as always and I finally got the meet my cycling partner's new Ti Orange Brompton. 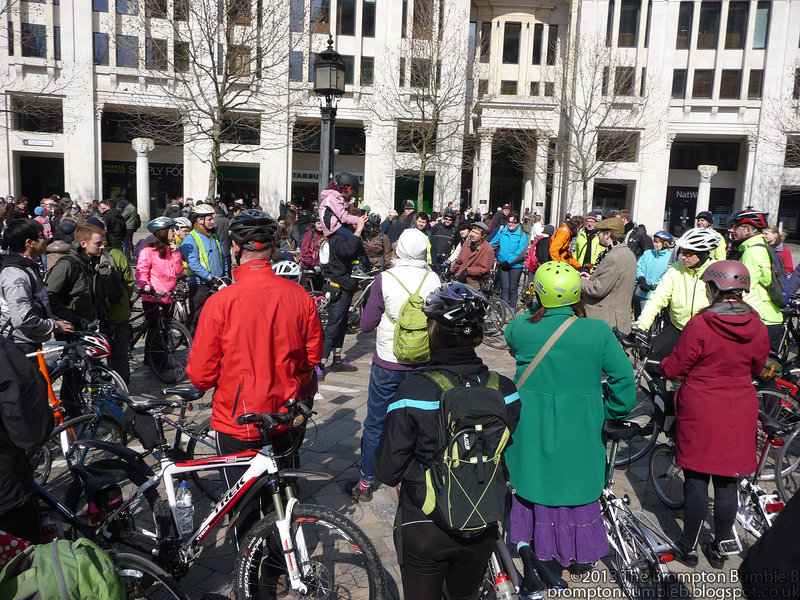 iBikeLDN ride leaders calling everyone together for quick briefing in front of the Cathedral to the amusement of all the tourist in the around. 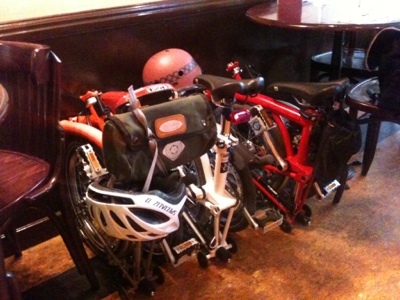 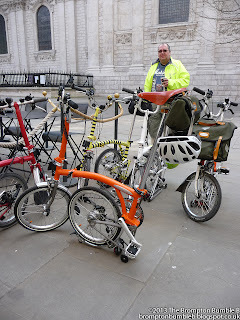 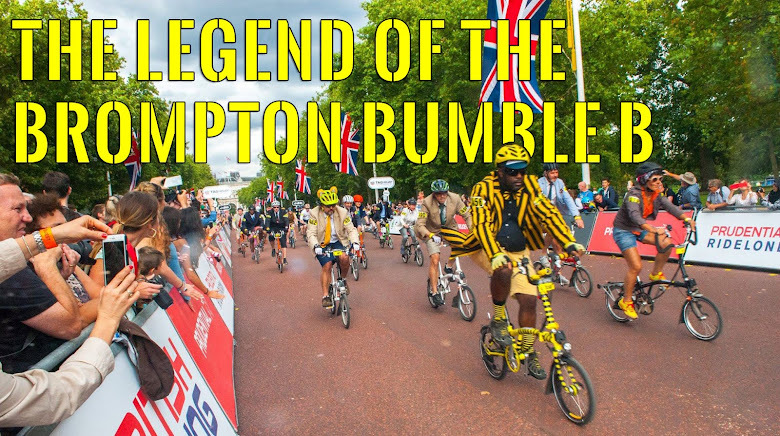 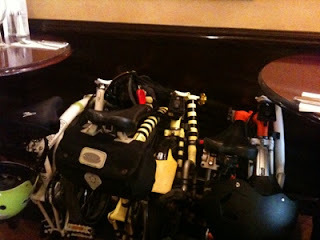 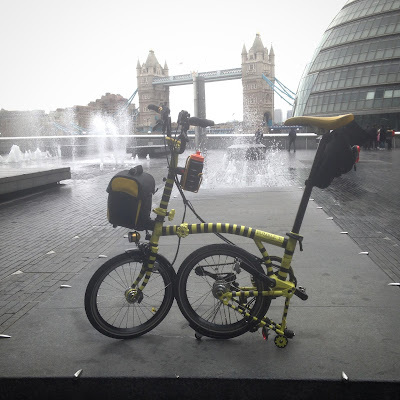 Saw a few other Bromptons & their riders that are not apart of the London Brompton Club and promptly invited them to the fold. 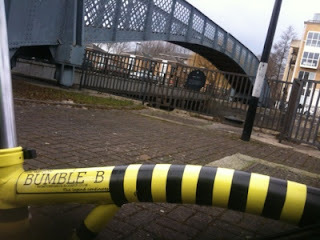 One young lady even took a photo of Bumble B. 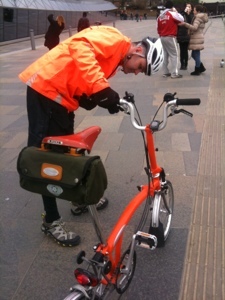 He loves the attention. 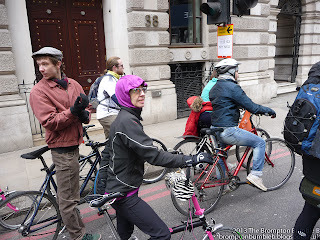 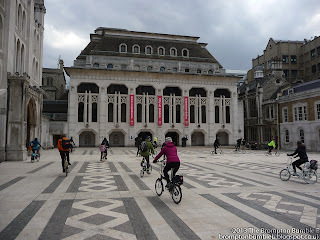 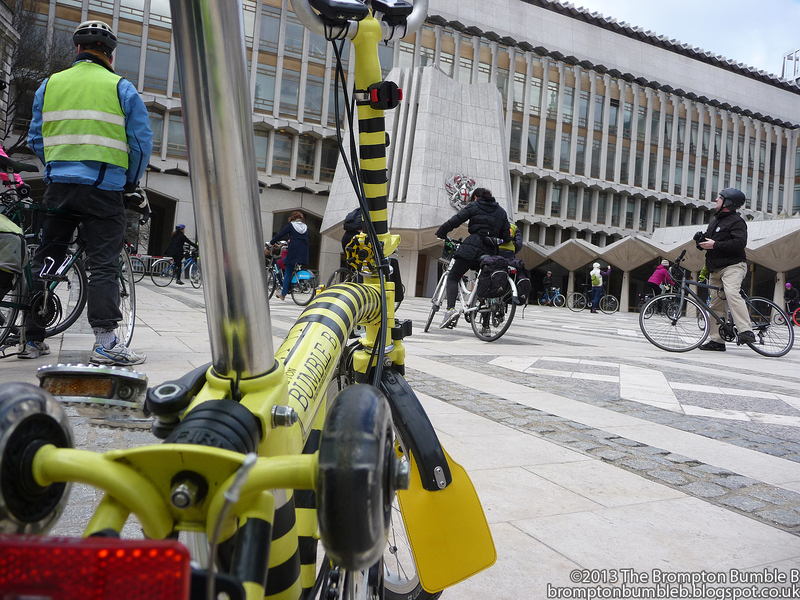 We headed off into the wilds of Central London passing though Guildhall, We actually did a few circuits. 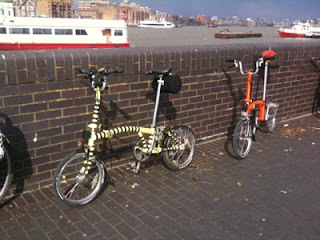 I think the tourist think we is pretty wacky and they are right, we are. 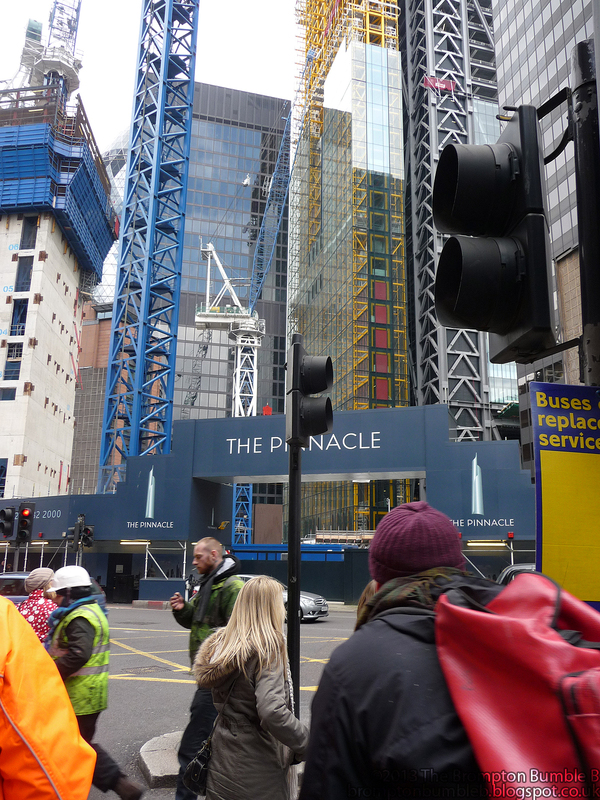 Passing though central London we could see lots of building work going on. We passed The Pinnacle, The Shard, Lloyd's and probably lots of other buildings I don't know the names of. 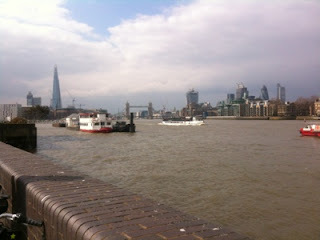 Finally coming out of the city we rolled up towards The Tower of London & the Thames. One of the LBC's old haunting grounds on the LBC Triple Chaser. 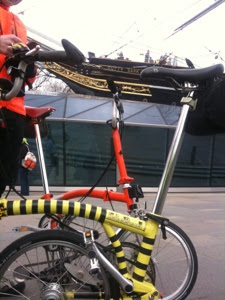 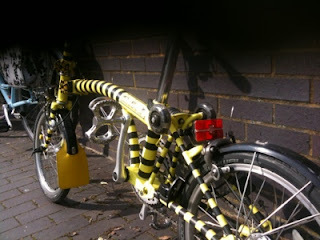 I think we maybe adding parts of the iBikeLDN Ride to this in future. 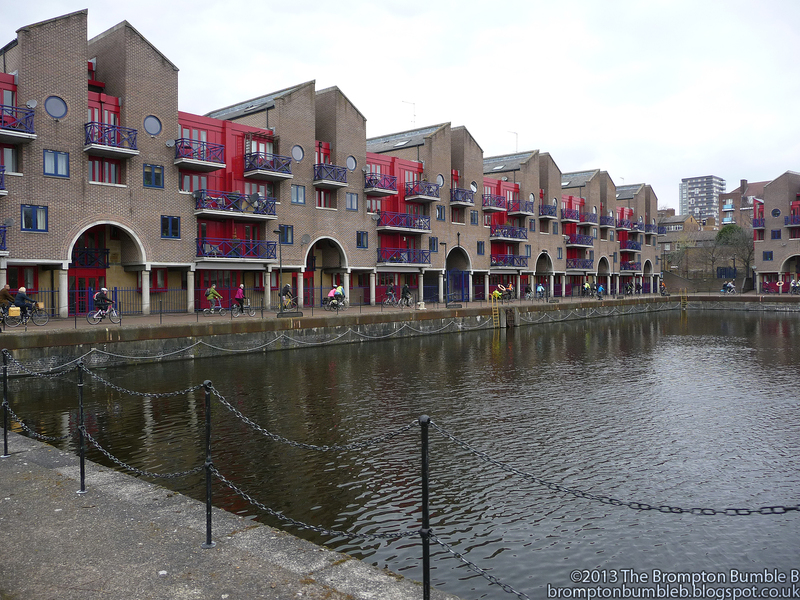 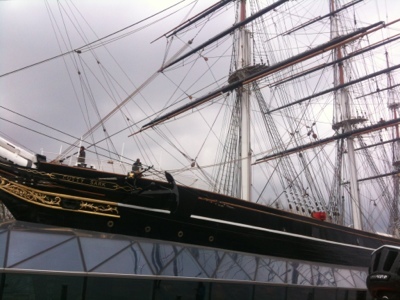 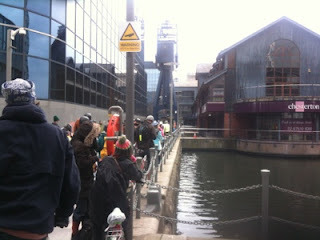 We then continued on though a few parts of Docklands I haven't been to before. 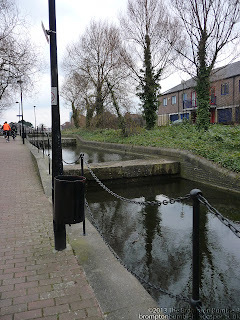 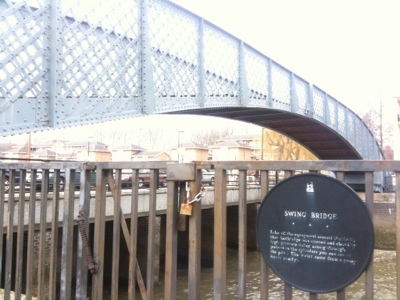 Stepping locks. 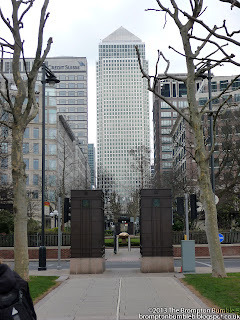 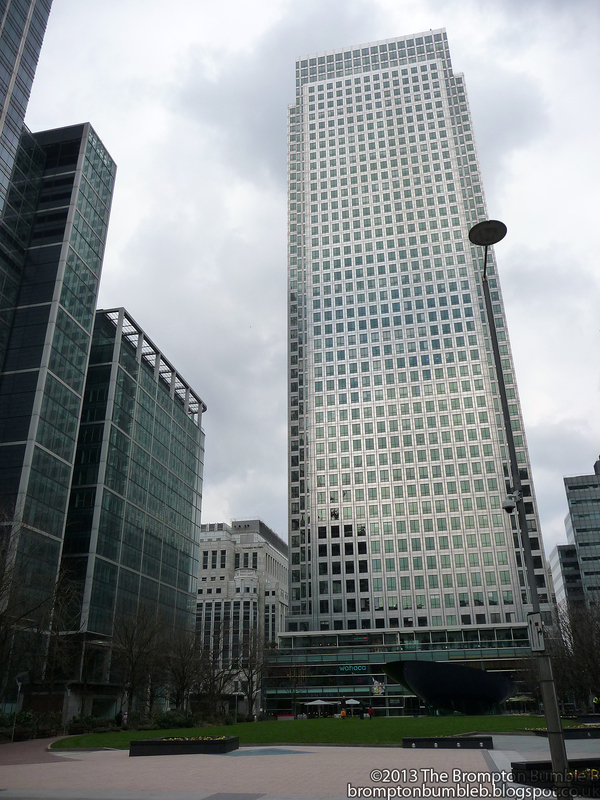 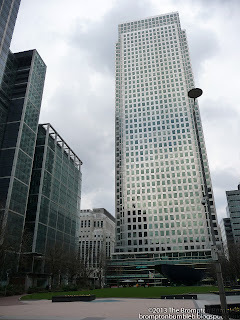 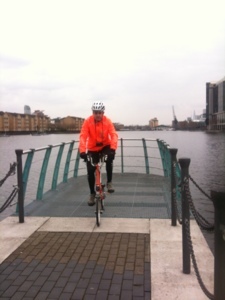 We then started to head towards Canary Wharf. 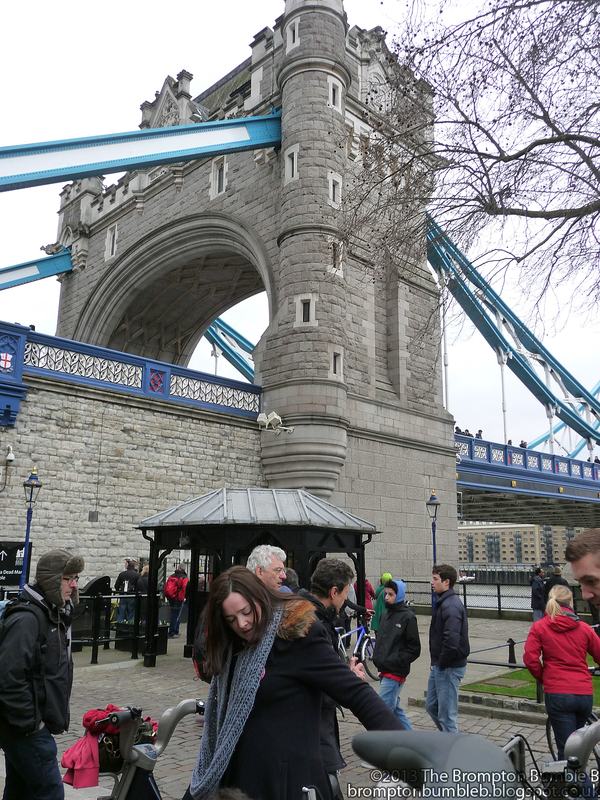 At one of the security check points one of the guards gave me a "High 5" as he saw us coming though. 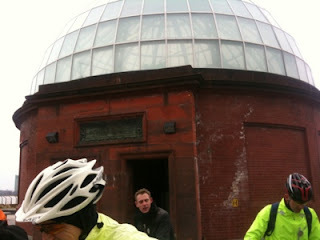 Probably made his boring bank holiday weekend a little less boring when 100 cyclist rolled by. I just loved how these 2 columns are sitting almost like a portal to another dimension, in Docklands looking towards Canary Wharf in the back ground. Afterwards a few of us wanted to get something to eat so we headed off into the direction of Tower Bridge and ended up at a place called Cafe Rouge where we had well earned meal and talked alittle before heading back to our homes. Me and OrangeBrompton finally headed towards Oxford Circus where I decided to head towards Tottenham Court Road Station as Oxford Circus was abit crazy with people.